Sell Your Car in Morton - Fast, Safe, Fair! If you have been thinking about selling your car or are even just wondering, "How much is my car worth?" We Buy Any Car is your perfect solution. We offer a free online assessment of the value of your car, followed up by a quick inspection that ends with a corporate check in your hand that can be cashed right away. We really do buy any car, so regardless of make, model, age or condition, a sale will be made! To sell a car in Pennsylvania can be stressful but our friendly staff takes pride in providing every customer with a quick, hassle-free world class customer service experience. We look forward to helping you sell your car at our Springfield branch! 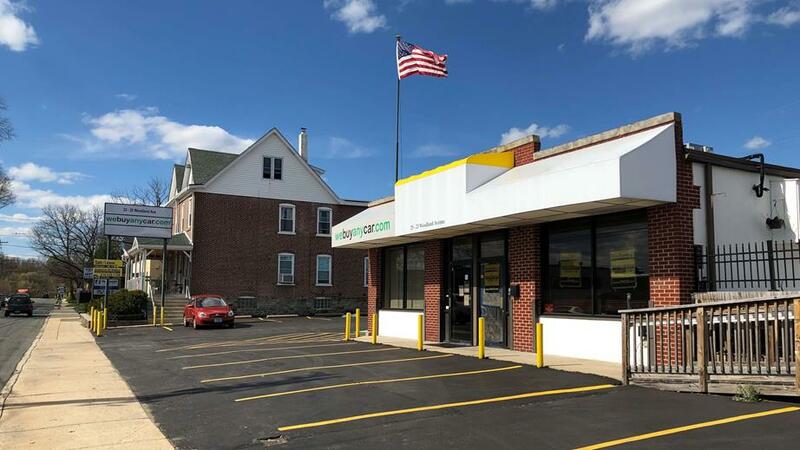 We've listed answers to the most common questions on the frequently asked questions section of the website but if you'd like to talk to someone, you can reach Dylan Hollingsworth who manages our Springfield car buying center at (484) 477-0032 during branch opening hours, listed above. You will be met by our Springfield branch manager, Dylan Hollingsworth, who will check your documentation to ensure you have the correct documents and proofs of identity. Dylan will then conduct a short inspection of your car to check its condition. This usually takes around ten minutes and you can accompany Dylan during the entire process. As soon as your vehicle has been inspected and the price agreed, you will be handed a corporate check on the spot that you can cash or deposit right away.